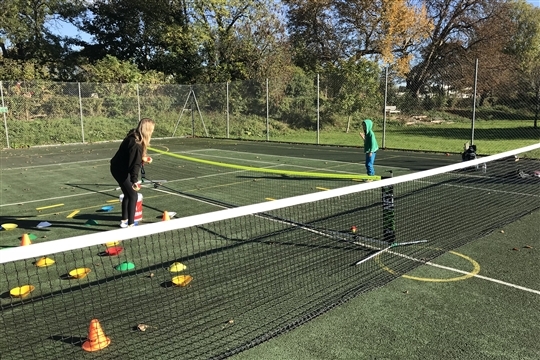 The 3 Westerly Ware tennis courts lie within Westerly Ware Recreation Ground, at the foot of Kew Bridge between Kew Green and the River Thames. It is a stunning place to play the sport. All coaching at the courts is provided by Sheen Parks Tennis. Details of lessons for adults and children are available via the 'Coaching' tab on the menu above. We have new classes for the Spring Term and bookings are welcome throughout the term. Please call Head Coach, Caroline Jordan on 07917844294 if you would like any advice about how to arrange coaching for you or your child.